Logon Hours — Enables you to specify when users can use an account. Logon Workstations — Enables you to limit the computers the account can sign in to. Password Never Expires — Absolves the account from the “Maximum password age” policy setting; don’t configure this option for privileged accounts. Smart card is required for interactive logon — Requires a smart card to be presented for the account to sign in. Account is sensitive and cannot be delegated — Ensures that trusted applications cannot forward the account’s credentials to other services or computers on the network. This account supports Kerberos AES 128-bit encryption — Allows Kerberos AES 128-bit encryption. This account supports Kerberos AES 256-bit encryption — Allows Kerberos AES 256-bit encryption. Use this option for privileged accounts. Account expires — Enables you to specify an end date for the account. In addition to controlling user accounts, you also need to understand and manage the reach of computer and service accounts. When you join a computer to the domain for the first time, Windows creates a computer account in Active Directory in the “Computers” container and automatically assigns it a password. AD manages these passwords and updates them automatically every 30 days. Disabling a computer account means that the computer cannot connect to the domain anymore. If you delete a computer account and the computer is still operational, you’ll need to rejoin the computer to the domain if you want it to regain domain membership. Resetting a computer account removes the connection between the computer and the domain. Local system — The NT AUTHORITY\SYSTEM account has privileges equivalent to the local Administrators group on the computer. Local service — The NT AUTHORITY\LocalService account has privileges equivalent to the local Users group on the computer. Network service — The NT AUTHORITY\NetworkService account has privileges equivalent to the local Users group on the computer. To protect these accounts, ensure a sysadmin updates their passwords on a regular basis. This is a manual process if you use native tools. A Group Managed Service Account is a special type of service account; AD automatically updates the passwords of these accounts. A virtual account is the computer-specific local equivalent of a Group Managed Service Account. Windows Defender Credential Guard is a new technology in Windows 10 and Windows Server 2016 that helps to protect credentials from attackers who try to harvest them by using malware. Windows Defender Credential Guard uses virtualization-based security that allows you to isolate secrets, such as cached credentials, so that only privileged software can access them. In virtualization-based security, the specific processes that use credentials or data, and the memory associated with those processes, run in a separate operating system parallel with, but independent of, the host operating system. This virtual operating system protects processes from attempts by any external software to read the data that those processes store and use. Windows Defender Credential Guard takes advantage of hardware security, including secure boot and virtualization. You can manage Windows Defender Credential Guard using Group Policy, Windows Management Instrumentation (WMI), or Windows PowerShell. User accounts whose passwords never expire — You should avoid configuring accounts with fixed passwords because they are less secure than accounts with passwords that users have to update periodically. Inactive user accounts — Inactive user accounts usually belong to a person who has left the organization. 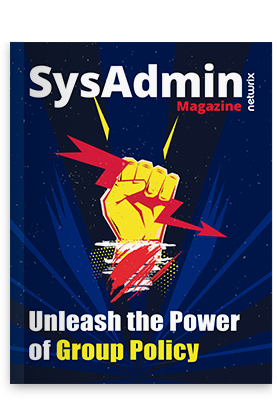 The Active Directory Administrative Center console enables you to find accounts that haven’t signed in for a specified number of days. Deleting or disabling these user accounts prevents them from being misused by outside attackers or malicious insiders. As you can see, Windows Server 2016 offers a lot of to help you protect credentials in your environment. You can use some or all of them. In particular, it’s smart to take advantage of Group Managed Service Accounts, Windows Defender Credential Guard and LAPS because they can improve IT security dramatically with relatively little effort.